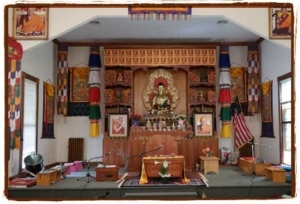 Gar Drolma Buddhist Center, 1329 Creighton Ave.
Wednesdays, from 6:00 - 6:30pm, individuals are welcome to come to the temple for silent meditation, shinay, or their own mantra meditation practice. What can we do for others or ourselves at the time of death? Want to find out more about Buddhism, but don’t know where to start? This program is for you—whether you’re just curious about what a Buddhist mediation center is like or you’ve been thinking about learning more about Buddhism. Our Newcomers Orientation is a relaxed introduction to our center and our programs. Come for a tour. Come with your questions. All are welcome. Join a senior student as they lead a discussion from the book "A Complete Guide to the Buddhist Path" by Khenchen Konchog Gyaltshen. Buddhist teachings provide numerous methods for bringing greater meaning and happiness into our lives and into our relationships with others. In his book, Khenchen reveals these methods in direct, vibrant and down-to-earth language. Held in the lower level. Individuals are welcome to come to the temple for silent meditation, shinay, or their own mantra meditation practice. This practice is suitable for all students. Silent Meditation is located on the Upper Level. We will be discussing Mind Beyond Death by Dzogchen Ponlop after our monthly Phowa practice to gain deeper insight into the human experience at death and beyond. 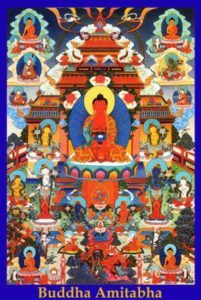 Meditation Instructions: Learning to calm the mind On Sunday, June 2, Khenpo will offer instruction and guidance in the practice of Calm Abiding Meditation (Shamata). This foundational practice allows us to bring mind to rest in a state of tranquility and ease, making all subsequent practices easier and more effective.